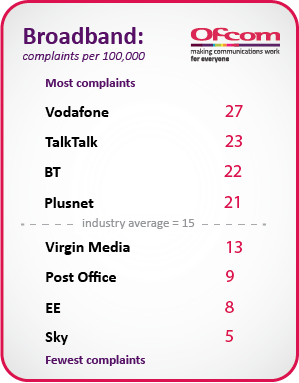 Vodafone’s poor ranking for broadband and landline marks its first inclusion in Ofcom’s league tables for the two sectors after achieving a market share of more than 1.5%. 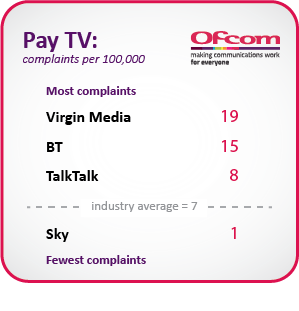 Most of Virgin Media’s complaints were driven by contract issues and complaints handling, the regulator said. A Vodafone UK spokesman said: “We are the UK’s fastest-growing broadband provider, with the highest levels of customer satisfaction in the industry. 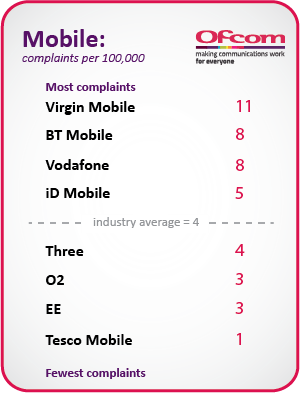 With these high levels of growth, we have however unfortunately seen some issues with the signing on process and this is reflected in the complaints data.